When you buy a timeshare, you sign up for, or really, sign away your vacation for years to come. You don’t imagine at the time that you will need to know how to get rid of a timeshare, but if you are like most timeshare owners, you will. The day will come when you find that you don’t use your timeshare. You are making payments every month and paying high maintenance fees for a privilege that you no longer enjoy. You may want to use your timeshare but find you simply cannot. Many people our timeshare exit team reviews contracts with find that restrictive resort booking policies make it difficult for you to schedule your vacation. Even though you are supposed to have enough points for a premium vacation, you can’t actually book it unless you plan it years in advance. Many resorts may put limits on the number of timeshares that can be booked at any given time and it is a first come, first served basis. So if you don’t reserve your room well in advance, you won’t get the resort that you want. Other times, our timeshare exit team finds that resorts actually charge points premiums for in-demand times or locations. Sort of like the timeshare version of surge pricing. This can make some destinations outside of your reach. If you have found yourself with this headache, you may be wondering how to get rid of a timeshare. Another common obstacle to enjoying your timeshare vacation could be that your timeshare is too expensive. You may not be able to afford your timeshare payments plus all the extra costs that vacations entail. Your timeshare costs so much that there isn’t any money left over for vacation. And it may not have been this way at first. Timeshare maintenance fees can and do increase every year, making your timeshare less affordable the longer you own it. And other than a timeshare cancellation, there is no way out of your maintenance fees. As long as you own your timeshare, you have to pay them. And they cost quite a bit. If you are in this situation, you may find that rather than figuring out how to get rid of a timeshare, you end up skipping your vacations. I cannot tell you how often our timeshare exit team hears this story. And it can have some pretty serious health consequences. Skipping your vacation time can increase your stress levels which can lead to a host of physical and psychological consequences. Everything from depression to weight gain to cardiac events can be attributed to increased stress levels. You don’t need extra stress in your life, but you do need to figure out how to get rid of a timeshare. Luckily for you, it is easy. Almost as easy as buying the timeshare was but without any of the consequences or side effects. You don’t need to do a timeshare cancellation on your own. You can have the right help on your side, and you can get rid of your timeshare painlessly. You need a high-quality timeshare exit team. You may be concerned about the timeshare exit team cost, but I can assure you that with a money-back, satisfaction guarantee you have nothing to lose. We are on your side when you need us. Call us any time, day or night. We are here for you twenty-four hours a day, seven days a week, three hundred and sixty-five days a year. 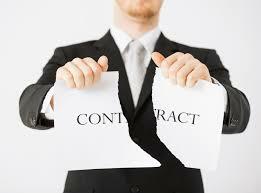 Call us today to get rid of your timeshare and get your life back. Call now! Don’t wait and don’t make any more unnecessary timeshare payments. 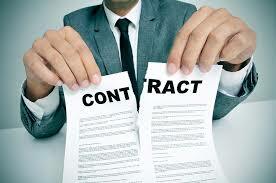 Learn how to get rid of a timeshare today! 5036 Dr. Phillips Blvd. #221 Orlando, Florida 32819-3310 USA.